Engineers India Limited (EIL) Recruitment 2019 . 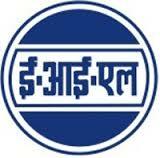 Engineers India Limited invites Application for the recruitment of 96 Executive Vacancies . The employment details about the posts, age limit, educational qualification, experience and other conditions are given below as link. The candidates are requested to go through the details and ensure that they fulfill the minimum prescribed criteria before applying. Apply Online from 10 April 2019 to 30 April 2019. For Safety : BE/ B. Tech/ B.Sc. (Engg.) with minimum 60% marks or CGPA/ CPI as mentioned in Note below AND with additional qualification of recognized Degree / Diploma in Industrial Safety with one paper in construction safety (as elective subject) and relevant Post Qualification Experience in Construction related activities in Hydrocarbon/ Fertilizers/ Metallurgical Plants/ Nuclear plants. Engineers India Limited (EIL) Recruitment 2019 . Engineers India Limited invites Application for the post of Executive [Pipe Stress Engineer (Mechanical)] Vacancies . The employment details about the posts, age limit, educational qualification, experience and other conditions are given below as link. The candidates are requested to go through the details and ensure that they fulfill the minimum prescribed criteria before applying. Apply Online from 29 March 2019 to 16 April 2019. Educational Qualification :Full time Engineering Degree course -B.E. / B.Tech./ B.Sc (Engg) in minimum qualifying period . Check advertisement link below for complete educational information. Mode of Selection : The mode of selection for all the positions (except for Jr Accountant) will be through Interview preferably at Delhi. PLACE OF POSTING : The place of posting for Construction Engineers/Officers in all levels shall be at construction sites/offices and for others may be at Head Office New Delhi / Gurugram, Regional Offices at Chennai, Vadodara, Kolkata, Branch Office at Mumbai, Inspection Offices and Construction Sites etc. Educational Qualification :Full time Engineering Degree course -B.E. / B.Tech./ B.Sc (Engg) in minimum qualifying period . For Trade Apprentices: Candidate should have passed 10/10+ ITI/ Graduation as per the concerned apprentice trade. For Technician Apprentice: candidate should have Diploma in concerned discipline of engineering. Age Limit : Minimum age limit is 18 years As on 28.11.2017. Mode of Selection : The mode of selection will be through percentage of marks .